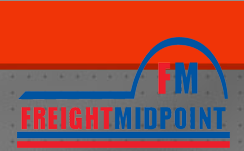 The name of the agent network is FREIGHT MIDPOINT INTERNATIONAL FORWARDERS NETWORK serves through website address: www.freightmidpoint.com which is owned, managed and published by INO ULUS. NAK. ORG. LTD. STI. in Turkey. A) Management: INO ULUS. NAK. ORG. LTD. STI. C) Member: The company which fully paid up requested fees. D) AGM: Annual General Meeting or Annual Conference. E) PPP: Payment Protection Program provided under the brand name INO Global Protection. F) Database: All information about business including email addresses, logo and any kind of records. G) Terms and Conditions: The rules settled by Management which regulates Member’s actions, business, handling process, performance and behaviours in FM. It refers to the rules which are accepted by Member in advance and subject to amendment at any time by Management without prior notification. 2.1 To gather and represent international freight forwarders, shipping and logistics companies under FM name. 2.2 To promote Member and provide business opportunities to Member. 2.3 To bring new business partners to Member from different countries. 2.4 To provide reliable and strong agents from all over the world to Member. 2.5 To keep Member’s service quality on the highest level while it is cooperating under FM umbrella. 2.6 To regulate and standardize Member’s business flow for the highest level of performance. 3.1 Member agrees that the data submitted to FM becomes part of Management’s Database. Member acknowledges and agrees that Management owns the Database and the compilation of all Members’ data set forth in Database, all forms distributed by Management for use by its members and all reports generated by Management. 3.2 Member agrees that it will not contest management’s ownership of the Database or the compilation of data set forth therein, forms or reports, or Management’s sole right to any copyright interests in Database, forms or reports. 4.1 Member is entitled to usual privileges incident to membership in FM, including announcements, newsletters and the opportunity to attend AGM, may have benefits of PPP as stated in section 19. 4.2 Member is allowed to use FM logo on its website, emails, printed documents, business cards and promotional materials during it's membership period. 4.3 Member is listed at www.freightmidpoint.com with it's company name and address, logo, contact person’s details and introduction text or company biography. 4.5 Member works with other members based on Terms and Conditions which aim to provide the highest level of standards. 5.1 A 'one-off' initiation fee: usd 250 is paid one time at the entrance to the network. 5.2 Member accepts that membership fee is payable for a 12 month period from the date of acceptance and usd 50.00 bank processing fee is added to top of the fees if funds sent via bank transfer. 5.3 Membership fee is usd 250/year for headquarter or 1st office in Regular Level. 5.4 Membership fee is usd 150/year per branch office in Regular Level. 5.5 Payment Protection Program fee is an additional charge and paid as indicated in section 19. 5.6 In the event that payment is not received within 30 days of billing or the day of membership renewal, usd 150 surcharge is applied and member shall be considered in default and membership revoked if full payment (inclusive of the surcharge) is not received within next ten (10) working days. 5.7 Fees are non refundable under any circumstances. 5.8 Fees are non transferable to any party. 6.1 Member hereby agrees to indemnify and hold harmless Management and each of its directors, officers, employees and agents from all litigation, damages, claims, settlement payments, liabilities, actions, causes of actions, and reasonable costs or expenses (including attorneys' fees and expenses), incurred, suffered, sustained or required to be paid by Management or any of the indemnitees listed above by reason of, or resulting from, a claim by any third party based upon an implied or express allegation that (a) any representation or warranty made by Member was not correct or accurate, or (b) Member breached any provision of these Terms and Conditions. 7.1 Management has the right and the authority to terminate membership without declare any reason. Fees will not be refunded under any circumstances. 7.2 Three official claims or complains or negative feedbacks given by other members about a Member in a year may cause membership termination. 7.3 Regardless of the manner of termination of membership, the provisions contained in sections 3 and 6 of these Terms and Conditions shall survive expiration of membership in FM. 7.4 Member must remove the FM logo from its website, emails and printed documents once it's membership is terminated. 7.5 Member can terminate FM membership at anytime. Fees will not be refunded in any circumstances. 7.6 Notice to terminate membership must be given by Member 3 months prior to the expiry date of membership. 7.7 FM cannot be used as reference in business in the case of membership termination. 7.8 Management can update and inform Members about the reason of membership termination of a Member. 8.1 Member must have internet access, e-mail capability, operative web site and must be fully protected by anti-virus software. 8.2 Member is responsible to inform management about any updates and changes in its company and/or contact details. 8.3 Member uses English as communication language in all emails. 8.4 Member automatically gives permission to Management to use any material for promotion by submitting company news, photos, logos or press releases. 8.5 Member is invited to use FM logo on letterheads, business cards and its website during membership. 8.6 Member agrees to report any displeasure regarding communication with other FM members. 8.7 Member agrees to respond emails in maximum 48 hours. 9.1 Member accepts that Management shall not be responsible for any damages or legal claims. 9.2 Member accepts that Management shall not be responsible for any debt, obligation or liability of a Member. 9.3 Member accepts that the governing law of FM shall be that of the Turkish Republic. 9.4 Member irrevocably agrees that the courts of the Turkish Republic shall be exclusive jurisdiction to settle any dispute which may arise out of, under, or in connection with these Terms and Conditions, use of website www.freightmidpoint.com and any other information. 9.5 Member accepts that Management can not be held responsible for any errors, omissions, unpaid invoice(s), misunderstandings or claims arising from these Terms and Conditions. 10.1 Member acknowledges and agrees that, as a condition to its continued membership in FM, Management shall have the right, if it revises its standard membership agreement, Terms and Conditions, to require Member to enter into the then-current version of membership agreement, terms and conditions. 11.1 In the event that Member participated as a member of FM prior to the date of these Terms and Conditions, Member agrees that all provisions of these Terms and Conditions shall apply to its membership in FM during such prior period. 12.1 These Terms and Conditions supersedes all prior terms and conditions and constitutes the entire Agreement between the Member and Management regarding the subject matter hereof. These Terms and Conditions shall be binding upon and inure to the benefit of Management, FM, Member and their successors and assigns. 12.2 All rights, title and interest in the name of FM owned by Management and cannot be used by Member without Management permission. 12.3 Noncompliance or disregard to Terms and Conditions will result in disciplinary action such as cancellation of membership and being black listed in any platform, debt recovery agency website or database including www.freightmidpoint.com website. 12.4 FM Terms and Conditions are formed to provide operational flexibility, quality and trust among FM members. 12.5 FM is independent from any Member or individual that publishes his details and services in this website. 13.1 Member agrees to exchange only real net/net charges and rates. 13.2 Free hand shipments are handled as free of charge. 13.3 Handling fee and profit share must be mentioned and agreed between members prior to shipments. 13.4 For free hand shipments, cargo origin Member should take confirmation from destination Member if the destination Member accepts mentioned shipment and for required conditions prior to shipment. 13.5 Cargo origin Member should take confirmation from destination Member regarding documents such as MBL/HBL, MAWB/HAWB, CMR, ATR, Certificate of Origin if prepared documents match with destination country's requirements and regulations. 13.6 Destination Member should check draft documents, request modification if needed and confirm before vessel sailed or flight/truck departure to the cargo origin Member. 13.7 Documents such as CMR, MBL/HBL and MAWB/HAWB must be prepared regarding destination Member’s instructions. Members should agree on documentation prior to vessel, flight and truck departure. 13.8 Destination Member is responsible for collection of the original Bill Of Lading issued by the other party and all freight charges in freight collect shipments before releasing cargo to consignee (unless otherwise agreed). 13.9 Destination Member must send “Arrival Notices” to consignee and/or notify party on HBL, HAWB, CMR and provide a good collaboration with them for a smooth delivery. Ocean carrier’s B/L can not be released to any third party. 13.10 Cargo originating Member must send Pre-Alert message by e-mail or fax with CMR, MBL/HBL and MAWB/HAWB copies via email to destination Member. 13.11 Pre-Alert message must be sent by email or fax to destination Member in 48 hours after vessel sailed and in 24 hours after flight and truck departure. 14.1 All payments/accounts must be settled within 30 days from the date of invoice (unless otherwise agreed) or earlier in case of larger amounts. 14.2 Awaiting payment from anyone such as client, customer, shipper and consignee are not a reason and an excuse for non-payment to another Member unless these were agreed conditions prior to the trade. 14.4 All bank charges occuring on the side of the beneficiary for remittance are the responsibility of the beneficiary. 14.5 Payer should arrange remittance with all bank charges including intermediary bank charges and amount should arrive beneficiary account as on the invoice. 15.1 Member must follow Case and Claim Management process. 15.2 All Claims are handled as indicated in Case and Claim Management Guideline. 15.3 Management is involved in the quality of cooperation between Members. Problems regarding reliability or financial issues must be reported immediately to Management in order to take prompt action. 15.4 Management can act as an independent arbitration facilitator for discrete and speedy resolution of claims between members. 15.5 Any claim between members related to their cooperation is settled by Management mediation. 15.6 Member agrees to accept Management’s decision as final decision and member will make payment or pay penalty accordingly if it is required by Management. 16.1 Management has the right to list Member in blacklists and make Member black/delinquent listed on any platform. 16.2 Management has the right to inform all members about the delinquent and default Member. 16.3 Management has the right to send warning message to the companies including members and non-members in its database. 16.4 Management has right to inform other private or official organization, associations, networks and agencies about a blacklisted, delinquent and/or terminated member. 17.1 Member accepts that joining annual general meeting at least one time in every two years is mandatory. 17.2 Member accepts to confirm its firm annual general meeting participation at latest one (1) month prior to event date. Member may not be allowed to join annual general meeting in case of late notification to Management. 17.3 Member accepts that in case it is not able to attend annual general meeting, fees are totally non-refundable and non transferable to any other Member or party and cannot be accepted to next years' fees. 17.4 Management will arrange annual general meeting every year in a country regarding its operational capabilities. In case of any failure of arranging annual general meeting, Management can not be held responsible for any expense, error or omissions by Member. 17.5 Member accepts that Management has the right to cancel annual general meeting or change the location and date by two (2) months prior notice through email or fax. 17.6 Member accepts that fees are non-refundable in case of venue or location change for Annual General Meeting. It is member's discreation to attend te event in new location or venue. 18.1 Member should transfer at least 30% of its's business to fellow Members. Member's performance is evaluated annually by score cards or activity reports. High performance and great attention to fellow members are required. 18.2 Management may want Member to prove that it is financially stable and solvent. Member accepts to provide financial reports and information about the company status. 18.3 Management may require member to enter surveys and questionnaires to perform random quality controls. 18.4 Providing monthly Activity Report/Payment Monitoring form is mandatory and Member must provide it till 10th of every month all required information for receivables belong to previous month. 18.5 Activity Report/Payment Monitoring form must contain following information such as invoice numbers, invoice amounts, invoice date, payer name, equipment types, departure port, destination port, M/BL and H/BL numbers. 19.1 INO Global Protection is the name of Payment Protection Program. 19.2 Participation to INO Global Protection is optional in Freight Midpoint International Forwarders Network. 19.3 Members must follow the stated clauses in here to get benefit from INO Global Protection. 19.4 FM Members are allowed to choose Protection Group A only. *It is paid for a 12 month period. *Incident defined as an issue which a member has with a debtor member. It doesn't mean that creditor member will be paid 5% per unpaid invoice. 19.7 INO Global Protection covers unpaid invoices for the handling of freight transactions such as air freight, sea freight, land freight, inland transportation, customs clearance service fee and local port charges. 19.8 INO Global Protection is not a cargo or freight liability insurance. Customs penalties, warehouse charges, storage charges, demurrage charges, value of goods, duties/taxes, errors, omissions and bankruptcy of a member are not covered by INO Global Protection. 19.9 Cargo Claim is not applicable in this program. Each member can obtain the cargo insurance and third party liability insurance separately. 19.10 In order to receive payment from Payment Protection Program, the recipient must agree to sign any future recoveries of the debt over to the Management and to fully cooperate with FM in instituting collection and/or legal recovery of such debt. 19.11 Activity Report/Payment Monitoring form must be submitted to Management in first ten days of every month. 19.12 INO Global Protection covers only the invoices submitted in Activity Report/Payment Monitoring form to Management in a timely manner. 19.13 Both origin and destination agent must be the member of FM who keep valid membership in Premium Level to get benefit from Ino Global Protection (Payment Protection Programme). 19.14 Members should ensure that they are dealing with an office that is enrolled to FM as Premium Level and INO Global Protection; Offices that are NOT enrolled are NOT protected under INO Global Protection. 19.15 Fees are non refundable and non transferable. 19.16 Shipper and Consignee agents on MBL and MAWB must be the member of FM and must be the companies in Premium Level. 19.17 Debtor and creditor companies shown on an invoice must be the member of FM, should hold valid membership in Premium Level and must be the companies who are enrolled to INO Global Protection. Member is to be monitored by the network management via Activity Report/Payment Monitoring form. 19.18 Claim is not accepted if the creditor fails to report to the network management within 60 days from the date of invoice and creditor cannot get benefit from Ino Global Protection (Payment Protection Programme). 19.19 Creditor must report the default within 60 days from the date of invoice through opening “Claim for Unpaid Invoice”. Otherwise, creditor is not protected and not paid by Ino Global Protection (Payment Protection Programme). 19.20 INO Global Protection is not valid for invoices between members located in same country even if both parties have Premium Level membership. 19.21 Management cannot be held responsible and does not accept any financial liability for commercial or financial obligations that are not met by Member. NOTICE AND DISCLAIMER: INO ULUSLARARASI NAKLIYE ORGANIZASYON LTD. STI. LOCATED IN THE REPUBLIC OF TURKEY DISCLAIMS ALL WARRANTIES, WHETHER EXPRESS OR IMPLIED, INCLUDING WITHOUT LIMITATION ANY WARRANTIES OF MERCHANTABILITY AND FITNESS FOR A PARTICULAR PURPOSE OR USE, ANY WARRANTY OF COMPATIBILITY BETWEEN THE ORGANIZATIONS, SITES OR SOFTWARE OR DATA PROVIDED AND EQUIPMENT OR SOFTWARE OWNED OR USED BY MEMBER, AND ANY IMPLIED WARRANTIES ARISING FROM COURSE OF PERFORMANCE, COURSE OF DEALING OR USAGE. MEMBER AGREES THAT INO ULUSLARARASI NAKLIYE ORGANIZASYON LTD. STI. SHALL NOT BE LIABLE FOR ANY LOSSES OR DAMAGES, INCLUDING WITHOUT LIMITATION ANY LOSS OF USE, LOSS OF DATA, LOST PROFITS, LOSS OF BUSINESS, OR OTHER INDIRECT, INCIDENTAL, SPECIAL, CONSEQUENTIAL, OR OTHER DAMAGES, EVEN IF INO ULUSLARARASI NAKLIYE ORGANIZASYON LTD. STI. HAS BEEN INFORMED OF THEIR POSSIBILITIES. ABOVE TERMS AND CONDITIONS ARE PUBLIC ON WWW.FREIGHTMIDPOINT.COM AND CAN BE MONITORED BY WEBSITE VISITORS ANY TIME AND BEING A MEMBER OF FREIGHT MIDPOINT INTERNATIONAL FORWARDERS NETWORK MEANS THAT MEMBER ACCEPTS ALL ABOVE TERMS AND CONDITIONS AND THEY ARE LEGALLY BINDING.